The department offers select regional-focused courses at the third year. This course examines the idea of "development" in the context of European state formation, colonialism and globalization. It examines development in Indonesia or India, for example, through the lens of Michel Foucault's concepts of "biopower" and "governmentality" with an eye to explaining the "development of underdevelopment." Governmentality refers to "governmental rationality," the set of strategies, programs and social technologies by which states aim to structure the possibilities for individual action by managing and disciplining populations and spaces. Such programs are not always coherent, and the assemblages they form have contradictory effects on the ground. This course, for example, may look at the ways in which the colonial Dutch state and subsequent "New Order" government sought to reshape families, improve hygiene and farming, and manage "model villages" with the long term goal of economic "take-off". 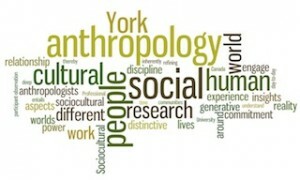 This course examines debates amongst anthropologists about the study of Islam and Muslim societies, and Muslim expressions of Islam according to anthropological themes including the body, space, ritual, knowledge, agency and representation. Students design and undertake a field-based research project. This course introduces students to aspects of the traditional cultures of Africa. Drawing upon historical and contemporary examples, the course examines the particular features of verbal art as performance and the social functions it serves in everyday social contexts. Course credit exclusion: Prior to Fall 2009: AS/HUMA 3365 3.00. This course introduces students to traditional oral cultures of the African-Caribbean diaspora. Adapting an ethnographic approach, the course focuses on the culture's African origins, its evolution in the Caribbean nations, and its subsequent transplantation to urban contexts such as Toronto. Introduces students to the history of the indigenous peoples of the Andean region of South America, which includes Peru, Bolivia, and Ecuador, from the conquest of the Inca empire by the Spanish up to the present day.